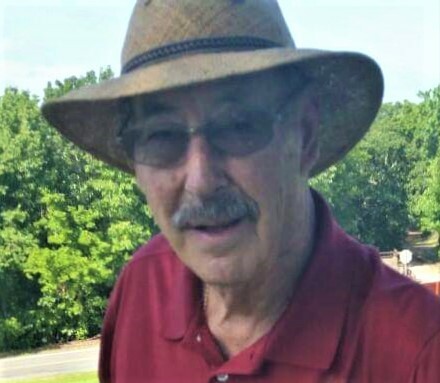 Lawrence Merle, (Larry)(Bub) Simmons of Wichita was born at home in Allen, Kansas on June 24, 1930 to Merle and Luella Beth (Betty) (Leavell) Simmons. Bub succumbed to pneumonia on April 6, 2019 at Wesley Medical Center. He was 88. Bub grew up and attended school in Allen graduating in 1948 from Allen High School. Shortly after graduating he married his high school sweetheart. During this short union two children were born, Anthony and Sandra. Joining the Air Force he served from 1951 to 1954. Being trained as a tail-gunner and boom operator he would say he saw all of Europe out of the back end of a KC-97 Tanker. Some of his favorite places he mentioned were England, Newfoundland, and Italy. October 3, 1954 he was united in marriage to Karen Watkins. They were married for 32 years during which time four children were born, Janet LaKay Duranleau, Teresa (Terre) Bowlin), Stephanie Keitel, and Daniel (Danny) Simmons. Bub joined the City of Wichita Police Department in July of 1957 working as a Motorcycle Cop, Traffic Cop and Supervisor in Records, retiring as a Lieutenant in November of 1979. Not one to sit idle with nothing to do, he always had a hobby. During the 1960’s, he rented “The Barn” a place south of Wichita to board his horses. There was always one for the kids to ride, one to groom and condition to sell, and for a time, he had Douglas Kim, a Quarter Horse Stud that was his pride and joy. Showing Kim all over Kansas in Quarter Horse Shows, he finally received a Grand Champion Trophy that he was extremely proud of. Kim was sold to help pay off medical expenses but it wasn’t long until the family had a boat. Bub and his family spent most of the time at Lake Afton but also the Arkansas River in Downtown Wichita teaching the kids to ski. Bub, LaKay and Stephanie would build pyramids while Terre and Danny chose to just ride on the front of his skis. In 1970 the family moved to Whitewater Kansas. This move was two-fold … he was back in the country and his kids were in safer schools. Having the extra room and outbuildings Bub tried his hand at raising pigs, keeping a few feeder calves to fatten up and sell to his fellow officers and, of course, there were horses. Two years following a divorce, being the handsome cowboy that he was, it didn’t take long until he found himself married June 2, 1988 to a widow, Janice Vandenboss. They were married for 31 years. This union came with two adult children, Lynn Clevenger of Kechi and Brad Vandenboss of Bartlesville. In 1994 having had taken a job at Boeing working security on Air Force One, he once again retired but this time retiring to St. Pete Florida along with Jan’s mother Edie, sister Gaye (Bernie) Manisco, and friends LeRoy (Jim) and Kathi Quade. They all purchased condos that were in the process of being built at Dolphin Cay near Boca Ciega Bay. While in Florida, Bub learned to play and love the game of golf, loved bicycling with Jim and spending many hours on Jim’s boat out in the Gulf. After much deliberation the couple decided it was time to move back to Kansas in 2001 to be with family. Bub’s health failed suddenly in January 2019 with him having Influenza A along with Pneumonia. He went to Catholic Care Center to recover and had just moved into Assisted Memory Care less than a week before he returned to Wesley MICU with another case of Pneumonia. He was preceded in death by his parents, his dear sister Carol and brother-in-law Arlon Bryson. Bub is survived by his wife Janice of the home, brothers Bruce (Tom) Simmons of Archer City, Texas, Dave (Connie) of Blytheville, Arkansas, sisters Judith (Leonard) Boline, Gardner, and Susan (Chuck) Partridge, Wamego. Children include Anthony (Tony) (Rae) Zimmerman, Mayetta, Sandy (Larry)Carter, Topeka, Janet ( LaKay) Duranleau, Garland, Texas, Teresa (Terre) (Scott) Bowlin of Whitewater, Stephanie (Pat) Keitel of Maize, Danny (Barb) Simmons, Potwin, Lynn Clevenger (Mitch) Kechi, and Brad (Cindy) Vandenboss of Bartlesville, OK. Bub is survived by fourteen grandchildren, DaNey McLean (Chris) Richardson, TX, Megan Gonzalez (Ricardo) Garland, TX, Brandon (Kris) Bowlin and Grant (Adriane)Bowlin, Whitewater, Cameron (Jessica) Bowlin , Peabody, Lindsey (Tanner)Vincent, Wichita, Miles Keitel, Wichita, Brian (Jolly) Simmons, Millersville, MD, Tara (Chris) Hale, Goddard, Tyler Vandenboss , Bartlesville, OK, Casey Joe Vandenboss, Woodward, OK and Bailey Vandenboss, Derby, Mike Carter (Erin) and Chris (Jennifer) Carter of Topeka. There are 21 great grandchildren and 5 great-great grandchildren.